I generally think of myself as a “non-techy” audiologist. My first hearing aid fitting was with trim pot aids and the only fitting equipment I needed was a small screwdriver! Very quickly the screwdriver was replaced with programming cables. Programming cables signalled the introduction of digital hearing aids with a vast array of fine tuning options that greatly exceeded the trim pot aids. But it also meant time untangling and then sorting out the programming cables from up to 6 manufacturers at the end of a busy clinic day. Fast forward a few years and now wireless fitting is seen as the standard in many countries. How is this possible? Bluetooth is a catchphrase that has captured the world. First developed in the late 1990s, the first cell phone to introduce Bluetooth technology was in 2000 and since then the little blue symbol can be seen on a plethora of devices. Bluetooth has allowed manufacturers to develop wireless devices and hence remove the inconvenience of tangled cables or wires that are too short. As our lifestyles become more and more mobile, I suspect that most people see our future lifestyle to be conducted wireless and handsfree. But what actually is Bluetooth? Bluetooth is a communication standard for wireless transmission of information developed in Sweden. Named after Harald Bluetooth who united the Vikings by converting to Christianity. Bluetooth technology allows devices to connect to other Bluetooth devices via radio waves. The Bluetooth radio and supporting software is built into a computer chip which is then incorporated into devices. One of the most common applications of Bluetooth technology has been streaming music direct from a phone or MP3 player to wireless speakers or headphones or car speakers. This streaming however has a relatively high power consumption. To overcome this high power consumption a new communication standard has been developed, called Bluetooth Low Energy (BLE) or Bluetooth Smart. With this new standard manufacturers have been able to construct smaller chips that can run off smaller batteries, opening up the range of Bluetooth enabled devices and applications such as sports shoes, watches and now hearing aids. The hearing aid industry is also aware of this change in the way we interact with devices around us and the technology that makes it all possible. 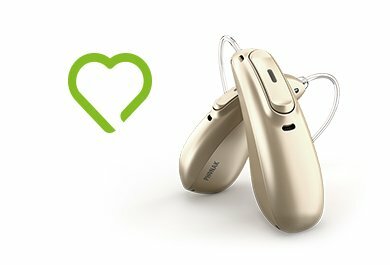 However the reason to incorporate Bluetooth in hearing aids should not be because the technology is available but because we can truly offer user benefits. Currently one of the main applications of Bluetooth in the hearing aid industry revolves around offering direct streaming of a cell phone signal into the hearing aids. This direct streaming can offer excellent sound quality but also better usability. The industry was all abuzz when “Made for iPhone” was introduced as a form of direct streaming from Apple devices to compatible hearing aids. However I was surprised when an avid android user pointed out to me the statistics showing the market share of Android versus Apple. Globally Android has a 86% share of the Smartphone market, compared to 13% for Apple (source : Global mobile landscape 2016, eMarketer, November 2016). So unfortunately the benefit is limited based on brand of cell phone. For me as a “non-techy” audiologist the world of Bluetooth connectivity has been a steep learning curve. 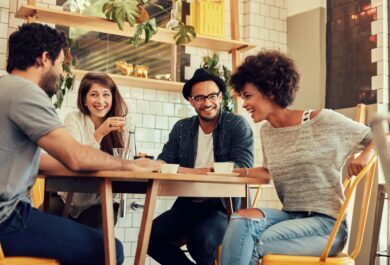 Connectivity adds diversity to hearing aid portfolios; making it easier to find a suitable solution for my clients with specific lifestyle needs. Whilst wireless fitting offers me more time to talk with my clients about their needs instead of untangling programming cables! We at Phonak understand the importance of connectivity and are listening to your needs and the needs of your clients too! These solutions are being worked on, and novel approaches are being explored. 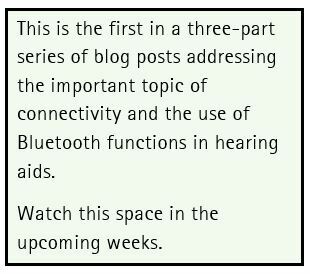 Most importantly we want to ensure that the benefits of Bluetooth are accessible for everyone regardless of the brand of cell phone. So keep an eye out for these technologies. Hearing is an important part of everyone’s life, and anything that can help make hearing easier and clearer is something to be desired. Until Bluetooth is ubiquitous, and built into the actual hearing aid; meaning, no clumsy device to wear around your neck, it is not useful. As a person with profound hearing loss, and having worn hearing aids for 40+ years (since I was 11), I know the value of convenience. And wearing a clumsy mini-box around my neck is NOT convenient. Meaning, I never use my ComPilot! And my aids are Phonak Naida V (vee) bought in 2016, not to be confused with my previous pair of Phonak Naida V (five) bought in 2008. I often wish I had gone back to Resound instead of buying Phonak again. Buy a ComPilot Air then. 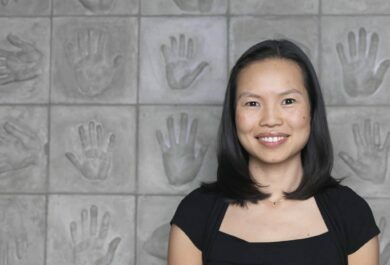 Shin-Shin has been working at Phonak HQ as an Audiology Manager since 2006. She has been involved in product development and training, with a special interest in tinnitus. Originally from Australia, Shin-Shin earned her Audiology qualifications from University of Melbourne. She gained wide clinical experience in private practice, in Perth, before making the move to Switzerland.